Former Federal Reserve Chair Janet Yellen is one of the world's most well-known female economists. More women are needed in the field. Women are missing from economics. Women make up only14 percent of full professorsin U.S. economics departments. In stark contrast to other social sciences where women typically receive over 60 percent of doctoral degrees, women in economics receive only 35 percent of doctorates. Women have made significant progress in certain STEM (science, technology, engineering and mathematics) fields, traditionally dominated by men. But economics is not one of them. Startlingly, evidence suggestslittle progress in bringing women into economics since 2000. So why does the gender makeup of economists really matter? Would we have more information on the global social impacts of climate change, the root causes of income inequality, and solutions to the gender wage gap if economics were more gender balanced? Might policy questions have been asked or answered differently if more women were economists? Those advocating for gender parity presume that women economists need to be included when research is being conducted and when policy is being debated because they bring a different perspective than men. As economists, my co-authors and I decided to test this theory. The results show that there are indeed differences in the views of similarly trained male and female economists in both the European Union and in the United States. Women economists, for example, are more likely to favor government intervention over market solutions. Male economists not only show a greater willingness to rely on markets, they are more likely to see problems from interfering with them. These differences in views were evident across many policy areas ― on drilling in the Arctic National Wildlife Refuge, calls to make employers provide health insurance, and income inequality. Woman marching for equal pay in Fort Lauderdale, Florida, last year. Perhaps not surprisingly, large differences existed in views between male and female economists on matters of gender equality in the labor market. 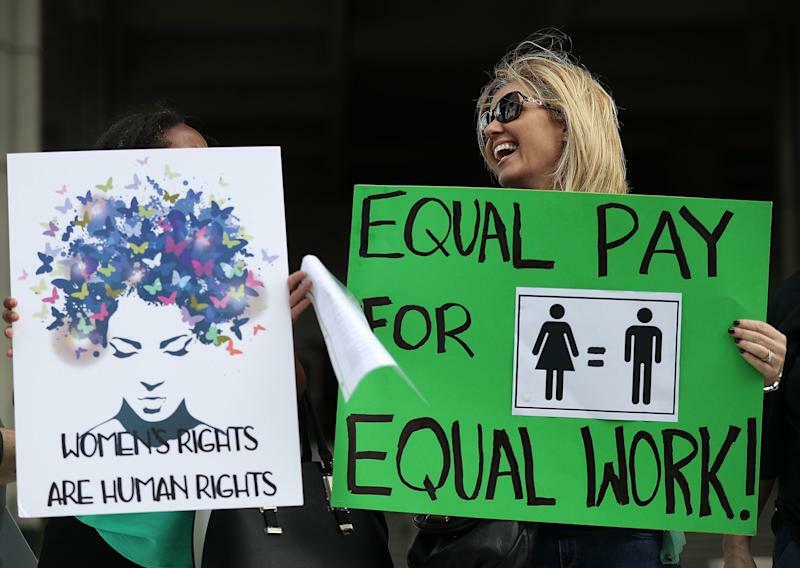 Where men saw issues such as the gender wage gap as largely a case of skills and choice, women were more likely to view outcomes as the result of unequal opportunities. We begin to see how these differences in views may help influence gender imbalance in economics ― imbalances that are prevalent in universities throughout the world. If men are the majority of full professors (and they are), younger female academics may find it harder to have their research seen as valuable. If men are the majority of editors of economics journals (and they really are), it is not difficult to understand why, as Erin Hengel has shown, in some of the top journals in economics, it takes women six months longer to go through the review process for publishing in some of the top economics journals. The imbalance also may be a reason why the research topics of women economists don’t appeal to those male editors. More importantly perhaps, we can begin to understand what these gender imbalances in economic research mean for how economic decisions are influenced and made. Of course, even acknowledging the barriers to women’s progress in economics, some may be convinced that the arc of history will eventually bring more women into the discipline, along with younger male economists more open to diversity. Unfortunately, there is growing reason to question that assumption. As Alice Wu’s analysis of the Economics Job Market Rumors forum ― a site to discuss jobs in the sector ­― demonstrates, some of the biases that have contributed to the gender imbalance appear alive and well among those entering the profession. This snapshot of misogyny unfortunately rings uncannily true for a number of women in the field, as well as young women considering whether to make economics their life’s work. The governing board of the American Economic Association, at its January meeting,responded to the issues raised by the job forum and there is some movement afoot to deal with the challenges presented by this disrespectful discourse. But leaders in the profession and economists throughout the world must begin to reflect upon the many factors that have produced the gender imbalance and how to address it constructively. The profession must understand that the lack of gender parity in economics is a systemic problem that will not fix itself. Ann Mari May is professor of economics at the University of Nebraska-Lincoln. For more content and to be part of the ‘This New World’ community, join ourFacebook Group.